Elimination dieting to see if a particular food or food group is upsetting your body is simple. It’s not conclusive, but it can set you and your doctor on the right path to a correct diagnosis. As per my doctor’s instructions, I did three days without any gluten or wheat in my diet and then did three days eating a little each day. In this case the little was two slices of bread. 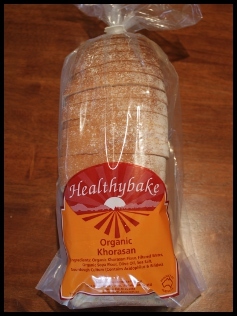 I’d read that people, who are mildly gluten intolerant, find Kamut (Khorasan) flour easier to digest. 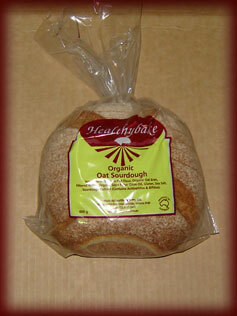 I thought this was a great place to start, since it also had the added benefit of being organic and containing a sourdough culture. Unfortunately, I didn’t fit into the ‘mildly gluten intolerant’ group, and within hours of eating it my ears and throat hurt, and my sinus pain returned. By the end of the three-day trial, my arms and legs ached, my brain fog returned and I was weighed down with fatigue again. It was disappointing, because, despite it being expensive, it was really yummy bread. I found this really frustrating because I was hoping there might be some organic, natural, sourdough, miracle type bread out there that I could eat, but they all did the same thing to me – rye, barley, wheat – they all made me sick. Then I tried an oat bread. Oats still contain gluten, but it’s different to the gluten found in wheat, barley and rye. It’s called Avenin and the Coeliac Society of Australia say that approximately 4 out of 5 Coeliacs can tolerate oats. I’d love to say that I can eat oats, but I can’t. Once again the aches, brain fog and fatigue returned, but what didn’t return was the ear, throat and sinus pain that always hit me within hours of consuming wheat. Within two hours of consuming some TNCC lollies my ears and throat hurt, and my sinus pain increased at night. By the end of the three days the antibiotics could barely hold off the ensuing sinus infection, but I didn’t get the brain fog, aches or fatigue that gluten gave me. I returned to my doctor with the results of my elimination dieting and she ordered blood tests for the coeliac gene and antibodies. I have the coeliac gene, but the antibodies are still inactive. So, what did this mean? I am a gluten intolerant, inactive coeliac. It doesn’t really matter if the antibodies are inactive or active – I can’t eat gluten or wheat. If I tried to continue eating gluten and wheat, not only would I continue to be sick, there was a good chance the antibodies would become active, resulting in a worse reaction to gluten. I left my doctor’s office with mixed emotions. On the one hand I was ecstatic that I finally had the answer to my problems (or so I thought), but on the other hand, I was told that I could never eat products containing wheat or gluten. So all I have to do is rearrange my diet right? Wrong! This meant changing the way I shopped, the way I cooked, and where we ate when we ate out. It meant putting my health before other people’s sensibilities and conveniences (easier said than done!). It affected our family financially as gluten and wheat-free groceries increased the grocery bill and I started treating my gut with natural healing products. I was challenged emotionally and mentally as I worked through denial, anger and frustration. I was like a baby learning to walk – alternating between pride at my successful forward steps and frustration each time I fell down again. What I didn’t realise at the time, was that I was entering a new phase in my life. I had started on a journey that would enlighten and enrich my family’s health and wellbeing in all three areas – physically, mentally and emotionally. As the maelstrom of emotions began to clear, I began to see life differently. One Big Switch or One Big Con?